I forgot I had this video. I made it for a seminar last year. I added a quick voice-over and put it up on youtube. Action is slowed down around 30% to make it easier to follow. 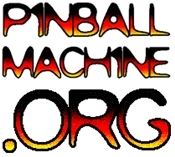 For more detailed information about nudging check out Pinball 101 (rentable on youtube).